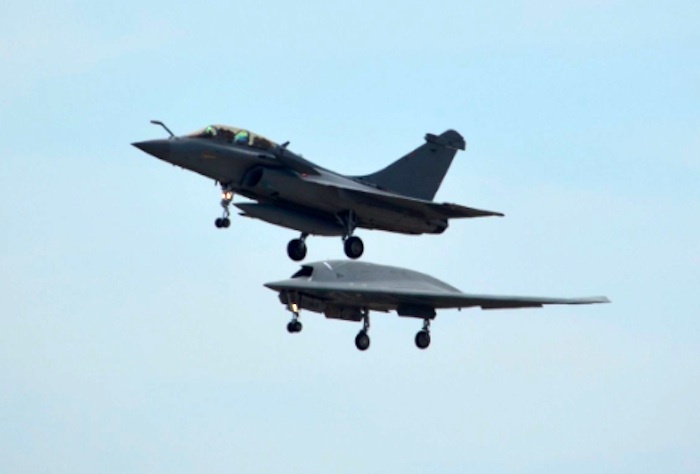 Dassault Aviation's nEUROn stealth drone was flown in public Saturday, the first time in aeronautical history that an unmanned stealth aircraft was flown in public, the company said. 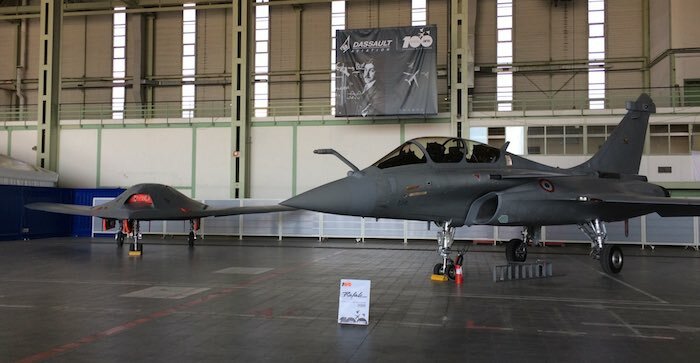 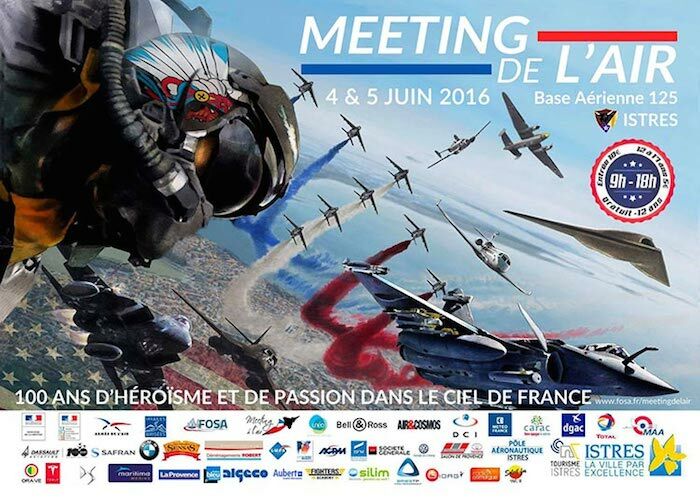 The showcase was prepared by staff at Dassault, the French defense procurement agency DGA and the French air force. 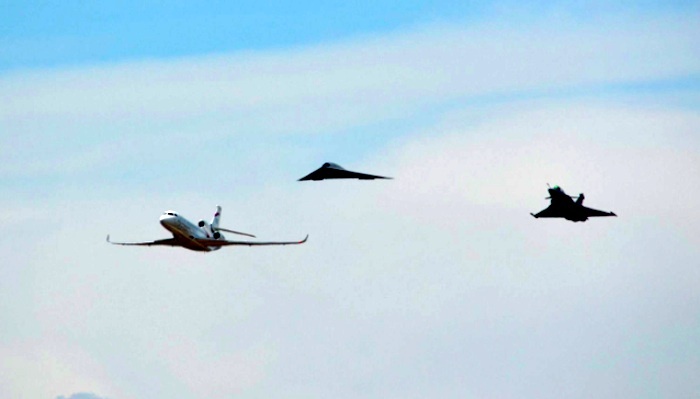 Officials credited the flight to the nEUROn's track record of safety and reliability since testing commenced in 2012. 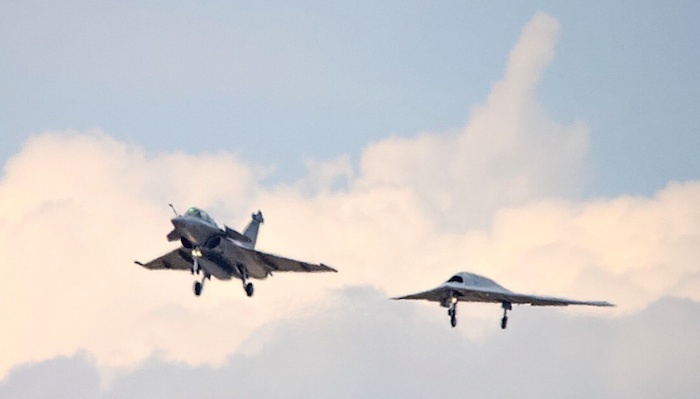 Naval tests for the nEUROn, including sea trials off the Charles de Gaulle aircraft carrier, began last month. 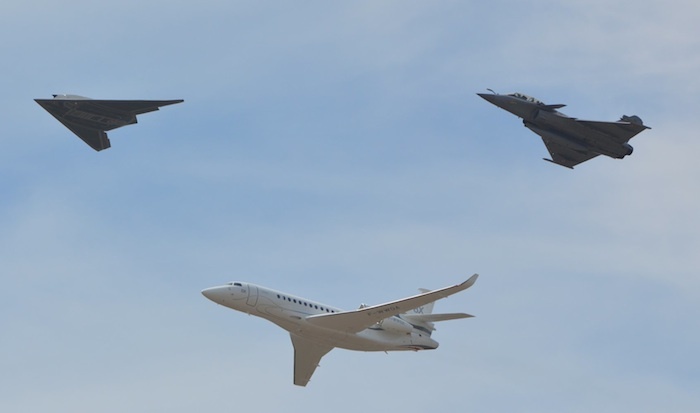 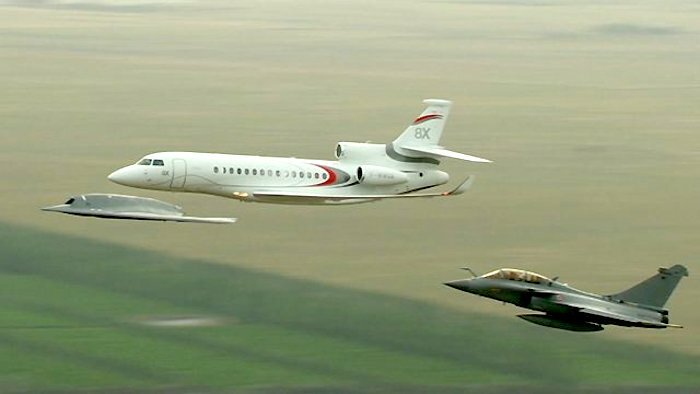 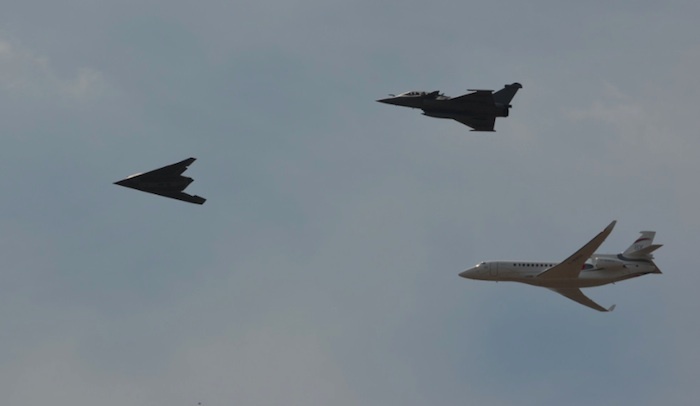 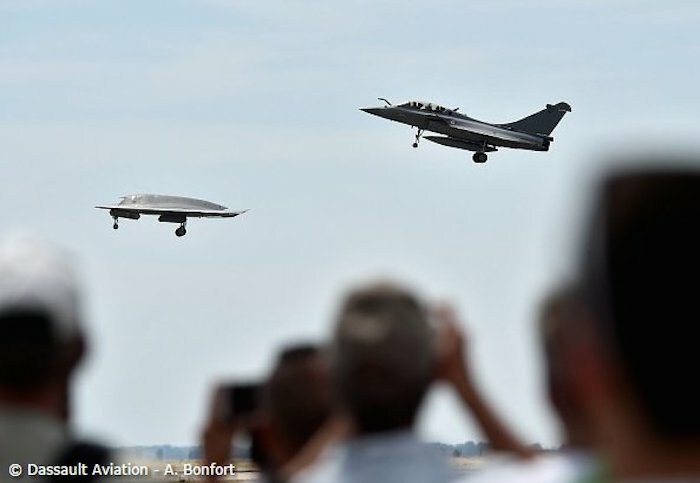 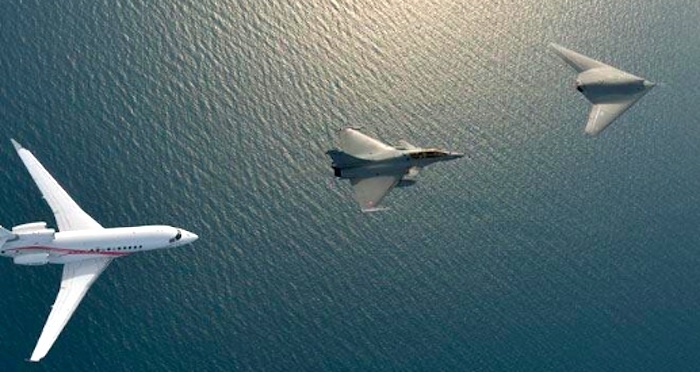 Saturday's presentation at the Dassault Aviation flight test center in Istres lasted about 15 minutes, the company said, with the drone being joined by a Rafale and a Falcon 8X in the air. 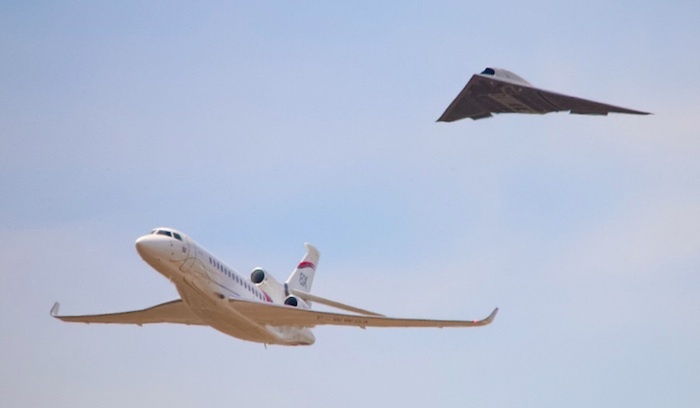 The nEUROn team is the first in the world outside the United States to design, build and fly a stealth drone demonstrator, Dassault said, as well as the first to submit a comprehensive test program that includes radar and infrared testing and weapons launch.